This post is sponsored by School of Wash. When you’re getting ready for a date, you always want to look and feel your best. You spend hours styling your hair, doing your makeup and staring into your closet as you pick the perfect outfit. But what most women forget is that what you do before you get dressed is just as important for your night out as that cute little black dress. 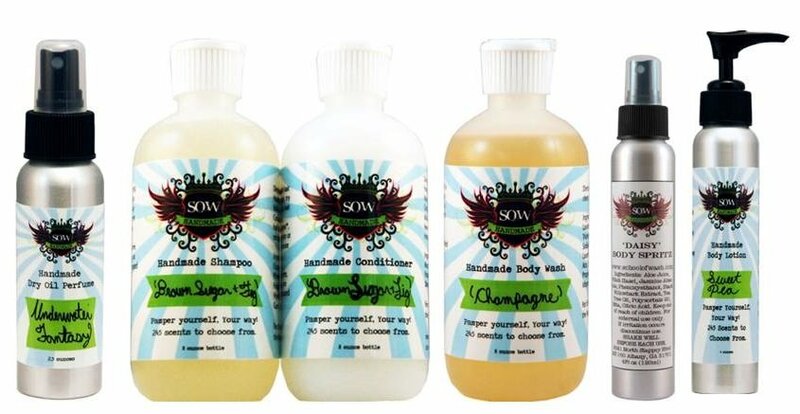 School of Wash’s handmade bath and beauty products are what you need to start the night off great. Their products are fresh and fabulous – guaranteed to make you feel pampered as you prep for your hot date! School of Wash is all about making sure you’re ready for whatever comes your way. With lines For Kids, For Her, For Him and even For Pets as well as over 175 different scents, it’s easy to find the items that fit your lifestyle. Bath goodies like handmade body wash or shampoo and conditioner help you stay clean, look great and smell even better. Plus, School of Wash offers beauty products like perfumes, body spritzes, lotions and dry oils to make sure you have that final “added touch” before you head out the door. After using these items from School of Wash, your man won’t be able to keep his hands off of you! These unique products were created by a mother for her daughter, so you know they’re tested and approved for high and gentle quality. School of Wash makes their products fresh to order, and all of their items are paraben-free, talc-free, SLS-free, sulfate-free, sodium chloride-free and dye-free. To keep you feeling fresh and fabulous, CupidsPulse.com is giving one lucky reader a bundle of School of Wash products! The bundle, valued at over $40, includes body wash, spritz, shampoo, conditioner, lotion and dry oil – everything you need to impress your man. GIVEAWAY ALERT: To enter for a chance to win a bundle of School of Wash products, go to our Facebook page and click “like.” Leave a comment under our giveaway post letting us know why you want to enter the contest. We will contact the winner via Facebook when the contest is over, and they will have three days to respond back with their contact information. The deadline to enter is 5 pm EST on Monday, July 1st. Good luck!